What impact does education have upon a nation’s economy? Can education be used as a global instrument to overcome obstacles and foster change? These are just a few of the pivotal questions discussed throughout this resource that targets researchers and educators alike by introducing them to new theories and research concepts. This resource’s scholarly references and figures provide a broad perspective on trends and standards in higher education. The collection examines developing areas across the globe, the impact of initiatives on nations’ standings, and the connection between knowledge, economy, and technological capabilities in society. More importantly, this publication provides solutions for optimizing open and distance learning in higher education. It explores various developing nation’s policies regarding distance and open learning programs, obstacles and opportunities in higher education, as well as technological sustainability. Optimizing Open and Distance Learning in Higher Education Institutions discusses how the “United Nations Development Programme (UNDP) creates policies for leadership skills, partnerships, and sustainable development” in developing areas (UNESCO, 2015). The research recognizes education as a global tool for tackling challenges and achieving change based on policies. It describes how development policies encourage higher education institutions to uniquely customize open and distance learning to suit individual growth needs and explains how customization then allows flexibility that combats cultural and socio-economic barriers. In developing nations, where continual changes in education and training rely upon such adaptability in education, open and distance learning can help to stabilize the economy and create a solid infrastructure. Global cooperation creates a new dimension of challenges and opportunities in higher education. Learners are exposed to new techniques to improve skills and gain knowledge through open and distance learning by shifting toward learner-centered education and self-directed learning. Various contributors from around the globe form a fluid collection of writing grounded in research specific to open learning, distance learning, and e-learning. This reference is highly recommended for researchers, educators, and students who seek to advance technology and education globally. 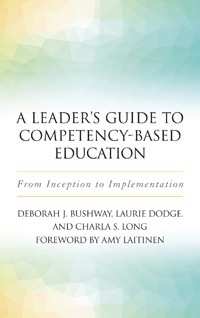 This work explores gaps in theory and practice and offers recommendations for improvement. The different chapters analyze: e-learning, open and distance learning and education, higher education, quality assurance, trends, sustainability, and integration. Subtopics identify the services provided, access to education, management and capacity, technology equality, knowledge-based development, and sustainable growth in education. Further themes stress limitations, acquisition of “on the job” training components needed for employment, skills and technical proficiencies, and policy and research for technology integration. The collection not only details open and distance learning in higher education institutions in developing nations and efforts to overcome certain restrictions, but also creates polices for an educational path forward to reach goals of equality and sustainability. 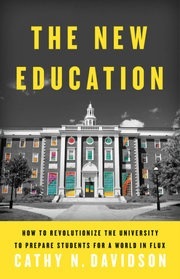 Cathy N. Davidson’s The New Education: How to Revolutionize the University to Prepare Students for a World in Flux is an engaging, enlightening, and empowering call to action. 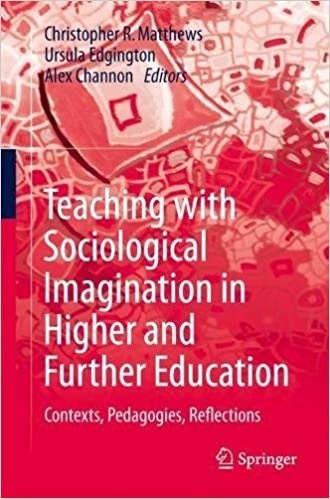 Though its focus is on why and how to transform higher education to meet the needs of today’s students and society, it offers commentary on innovative and effective pedagogy that will be of special interest to Wabash Center readers. If you only have time for a condensed version of Davidson’s recommendations for improving college teaching, read the “Ten Tips for Transforming Any Classroom for Active Student-Centered Learning” (263-67). Davidson lauds 10 techniques: Think-Pair-Share, Question Stacking, Everybody Raise Your Hand, Interview, Class Constitution, Collective Syllabus Design, Collaborative Note Taking, Collaborative Projects with Peer Assessment, Exit Tickets, and Public Contribution to Knowledge. In keeping with Davidson’s central thesis, these techniques serve to invigorate learning in college courses, but their ultimate value is that they best prepare students for life beyond the college gates. and more. By 1925, Eliot’s vision (shaped by his study of German and French models) dominated the landscape of American higher education. Not much has changed, Davidson laments. These features continue to define the college experience for most Americans. But now, they come with anemic “teaching to the test” at all levels of education, crushing student debt, and graduates narrowly trained for specialties that are fast disappearing in the technology-laden world in which we live. Against the current state of affairs, Davidson argues for pedagogy and universities to center on students and aim at preparation for life, not just careers. Davidson documents how the shift from the Industrial Age to our current age (which she dates at 1993 with the dawn of the Internet) has yet to be taken seriously by academics. Doing so, she insists, demands radical rethinking of the college experience. 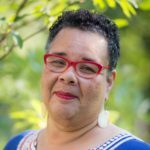 To illustrate the types of changes she advocates as proper responses to the technological age, Davidson points to community colleges and initiatives at universities. LaGuardia Community College in NYC, Arizona State University, and The Red House at Georgetown University receive the lion’s share of her attention. And for good reason. Education at these schools is being rethought and retooled to serve the student and his/her future needs. Actually, as Davidson notes, community colleges have been doing this all along. Founded to serve non-elite students, community colleges succeed by proceeding “from a pedagogy of acceptance. Any growth constitutes success. The student is at the center” (57). Although active learning and student-centered pedagogy benefit students, it is not risk-free. 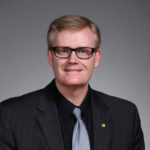 Fear of “losing status” causes many professors and institutions to shy away from adopting the mindset and support systems community colleges embrace. To illustrate the risks, Davidson recounts the story of Alexander Coward, formerly of Berkeley . . . formerly because allegedly his student-centered pedagogy did not sit well with his colleagues (208-210). In addition to the aforementioned “Ten Tips,” those primarily interested in pedagogical issues should read Chapter 3, “Against Technophobia,” and Chapter 4, “Against Technophilia.” Within these two chapters, Davidson offers many, many helpful hints for how to use technology imaginatively and effectively in the classroom.